Having been saying to hell to excess baggage charges and smuggling bottles of 3 Minute Miracle back from the UK for many years, as well as begging various family/friends/randoms off the street who mentioned they were going on holiday to act as “make-up mules” for my Aussie fix, I am obviously delighted. For those of you that aren’t familiar with the brand, it’s a total life-changer. 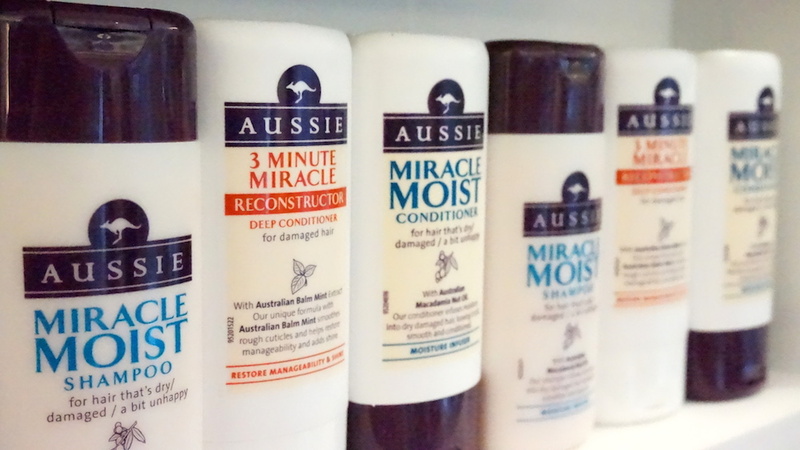 Despite not actually being from Australia (it’s born in the UK and manufactured in France), it blends natural plant-based ingredients from that country’s heritage to produce the haircare genius we get today. The 3 Minute Miracle is something of a cult in the UK – it’s the No. 1 bestselling hair treatment there and constantly wins awards all over – and once you’ve tried it, you’ll know why. It just works. In only three minutes, it leaves your hair softer, stronger and shinier, and at half the price of expensive salon brands to boot. Having thought I could live without it on my arrival to Hong Kong and promptly had half my scalp flake off in reaction to some randomly-selected supermarket brand here, I can also attest that it really does the business at repairing and restoring damaged hair too. Oh, and it smells pretty damn good too. As the Aussie philosophy states: “There’s more to life than hair, but it’s a good place to start.” Amen to that! 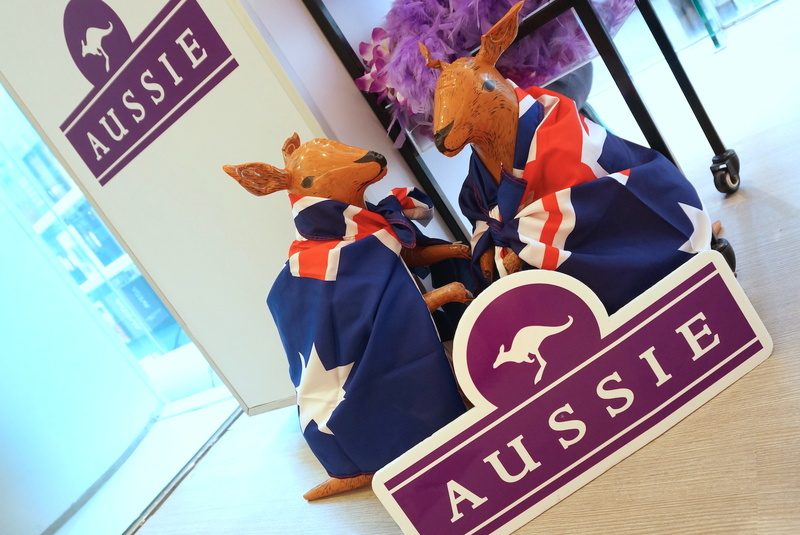 Get updates on Aussie in Hong Kong via their Facebook Page or by calling their HK consumer service toll-free number, 800 969 688. 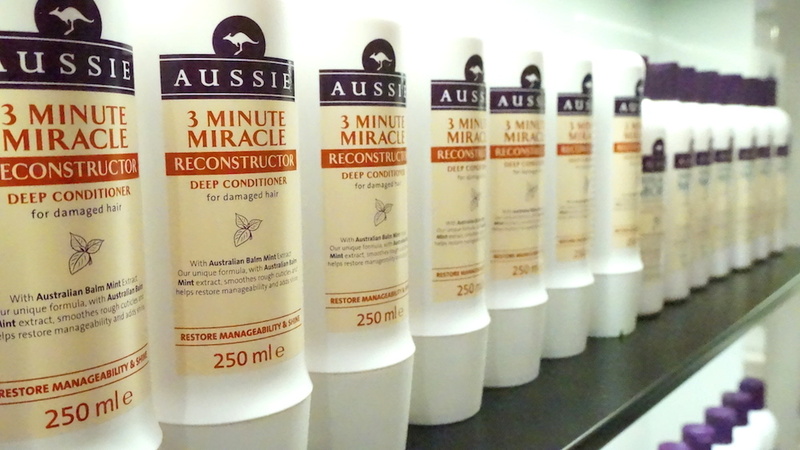 This entry was posted in Beauty, Hong Kong and tagged Aussie 3 Minute Miracle, Aussie Aussome Volume, Aussie Colour Mate, Aussie hair products Hong Kong, Aussie haircare Hong Kong, Aussie HK, Aussie Hong Kong, Aussie Miracle Moist, Aussie Miracle Shine, Beauty, best conditioners, best hair treatments, conditioner, hair treatments, haircare, make-up miracle, review, shampoo, where to buy 3 Minute Miracle in Hong Kong, where to buy Aussie conditioner in Hong Kong, where to buy Aussie hair products in Hong Kong, where to buy Aussie in Hong Kong, where to buy Aussie shampoo in Hong Kong. Bookmark the permalink. Absolutely pleased for you. The price is very reasonable too. Well, you’ve convinced me. Must give this one a try! Let me know if the miracle works on you! do u have any shop that I can buy it?